We haven’t had a fitness giveaway here for quite some time. I thought you would all really enjoy a chance to win in this fitness giveaway. 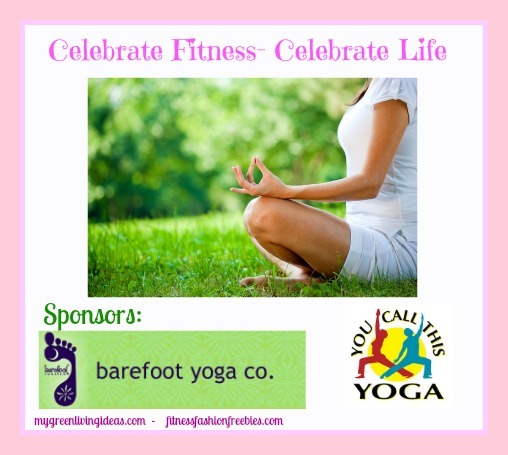 You can enter to win an awesome book, video and yoga mat! Details below on how you can enter to win! Good luck everyone! Our life is precious, keep a healthy mind and body with the art of yoga. Start today with the help of Sit Stretch Smile video, an alternative way of yoga which you can do in the comfort of your own home with the use of chair. Do the floor routines with the Barefoot yoga mat. Think healthy, Live Healthy. Open to US resident, 18+. Use the giveaway tools entry form below. Good Luck. Giveaway ends April 19, 2013 at 11:59 pm EST. I hear it makes you super flexible and strong. I love that it is relaxing! It gets me relaxed after a stressful day.